Every Wednesday evening Broken Chains holds a homeless outreach in Myron Levitt Park (the old JC Park). The park is at Eastern and Sahara and you are invited to join us any Wednesday evening. We start at 5:30pm and finish approximately 7:30-8:00. Everyone is welcome to come –children too! 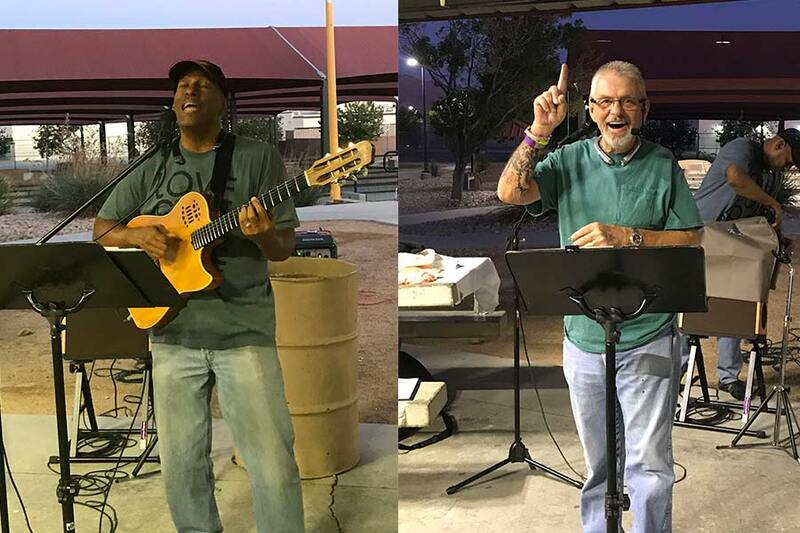 We start with worship, followed by a short message by Pastor Cody or Kevin Chapman, and then we serve a complete BBQ meal to all the homeless in attendance. We also hand out snacks, socks, sleeping bags, hats & gloves in winter and have clothing and hygiene items laid out for the homeless to select from. There are lots of things for the volunteers to do – BBQ and serve food, hand out whatever we bring that week, visit and pray with the homeless, and help with clean-up. We would love to have you and your family or friends join us any Wednesday. Just show up – you don’t have to notify us. 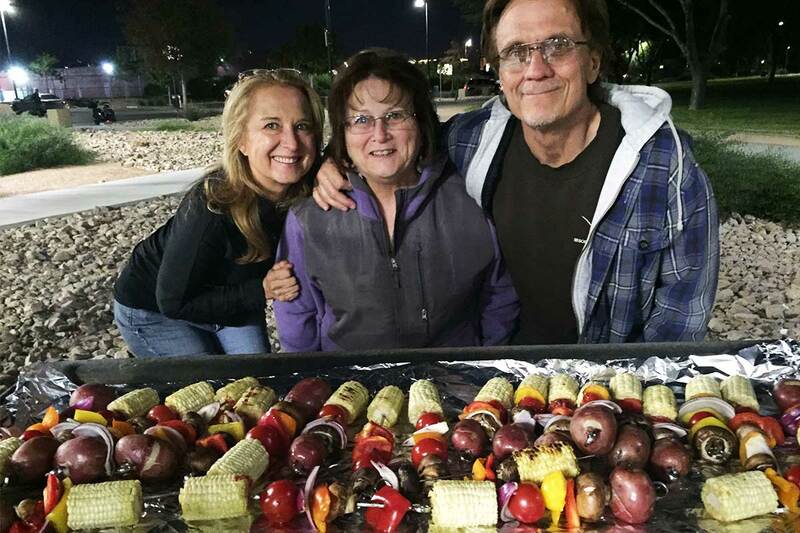 If you would like to cook for an outreach, we do need to know at least 2 weeks in advance. Please contact us if you wish to cook and we will give you all the details. Thank You to All for your Prayers. We want to thank everyone who prayed for Heather during her time of illness; it was a very trying time and Heather and Pastor Cody were so thankful for all those, near and far, who prayed for her recovery. She is doing much better and has been tested and found to be free of the intestinal bacteria that was the cause of her problem. She is still weak from the experience but is improving every day. So we want to thank all of you prayer warriors!! You are awesome!! Two Lunch Tuesday last month collected 2675 lunches bringing our current school year total to 20,315! And all of these lunches go to the homeless, halfway houses, veterans and the less fortunate in our city.